Young children can’t always tell the difference between dreams and reality. Some children have dreams that feel so “real” and scary that they wake up upset. This can upset parents too and cause everyone to lose sleep. 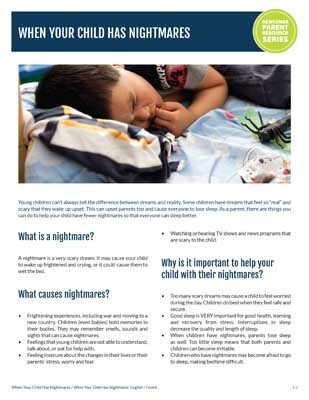 As a parent, there are things you can do to help your child have fewer nightmares so that everyone can sleep better.